Legendary Japanese video game designer and producer Shigeru Miyamoto has confirmed that work has begun in developing a Super Mario Bros. game for Nintendo 3DS. “In the interests of adopting new technology for the Super Mario Bros. tradition, I am now making a new Super Mario Bros. game for the Nintendo 3DS system,” Miyamoto announced within the latest Iwata Asks column on the Nintendo of America website. 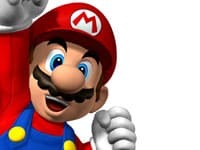 Having discussed a comment made by fellow Super Mario creator Takashi Tezuka in regards to how entries within the Mario franchise must always maintain a family friendly appeal, Miyamoto also explained his belief that each title must also introduce new elements to the player.